Manchester United is the new Liverpool: the English Premier League team that bookmakers can lay at any price, regardless of how poorly it is playing and the quality of its opponent. 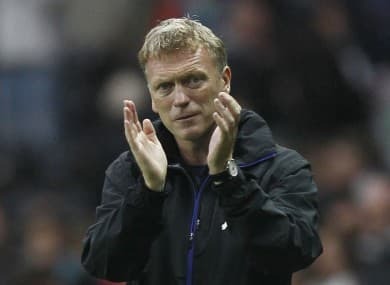 Thirteen points off the English Premier League pace as the halfway mark of the season approaches and having made a big rick in appointing proven big-match choker David Moyes to succeed Alex Ferguson, Manchester United should be on the nose with punters. 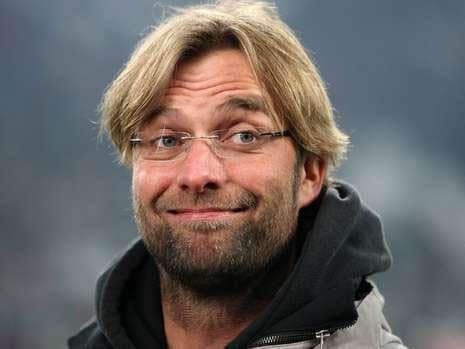 But, as was the case with Liverpool for years, Manchester United remains a hot favourite of punters because millions of them like to back their favourite side. The old economics law of supply and demand is the only sane explanation as to why Manchester United is odds on to beat Aston Villa away from home in the English Premier League. Manchester United has won only three of its seven road matches in England’s top flight and its three victims have been Swansea (10th), Fulham (18th) and Sunderland (20th), while one of its two draws was against Cardiff (16th). No-one, least of all Aston Villa boss Paul Lambert, would claim that the Villans are on the English Premier League’s top guns but they are a mid-table team that has lost only one of its last six games. That Aston Villa is available at odds of 5.25 with BetVictor to get the better of Manchester United at Villa Park is ridiculous, as is the fact the Villans are trading at odds of 2.25 with Bet365 not to lose. The market is not assessing the sides on merit. Having lost 0-2 at Fulham on its most recent English Premier League assignment, Aston Villa does not deserve full-blown support. But Bet365 is taking a chance in offering odds of 2.25 that Aston Villa avoids defeat against Manchester United, with fair odds being around the 2.00 mark. Parma has strung together a five-match unbeaten run across all competitions and it has a great chance of extending its undefeated streak to six games because its next opponent is one of Italian Serie A’s worst travellers, Cagliari. It has been 10 months since Cagliari triumphed on the road, with its away numbers since beating Pescara 2-0 in February reading seven draws and six losses. Cagliari has picked up only three away points from a possible 21 this season, which means that only bottom-of-the-ladder Catania has inferior road statistics to it out of the 20 Italian Serie A sides. Normally Ladbrokes is not a football bookmaker to take on but the Magic Sign’s odds of 1.90 about Parma defeating Cagliari are a couple of rolls over what would be right. There are three French Ligue Un matches and one could make a good case for all three home teams. In chronological order, Bordeaux is available at odds of 1.67 with William Hill to beat Valenciennes, Lille is trading at odds of 1.50 with Coral to defeat Bastia and Lyon is up for grabs at odds of 2.20 with Coral to overcome Marseilles. Bordeaux appears to have turned the corner after making a bad start to its domestic and international campaigns and, while the Girondins could not stay alive in the UEFA Europa League, they have climbed to sixth in French Ligue Un on the back of three consecutive victories. Valenciennes is in the French top-flight’s relegation zone, with its only wins this term coming at home to Toulouse in the first round and away to Ajaccio more than one month ago. Toulouse is 14th and Ajaccio is 19th so Bordeaux is on another level again. Bastia is okay at home but it struggles away from Corsica, hence why Lille is an attractive proposition. Bastia has not won on its travels this season, losing five of its nine away matches. Lille is the only French Ligue Un side applying any kind of pressure to Paris Saint-Germain and Monaco at the top of the ladder, plus it has won each of its last five home games in the competition without conceding a goal. Finally, the respective form of Lyon and Marseille suggests that it will not be long before the former leapfrogs the latter on the French Ligue Un ladder. In a few weeks from now, odds of 2.20 about Lyon beating Marseille at home may look rather generous. Odds of around 2.00 feel about right.